DownWithTyranny! : Will Trump's Border Policies Hurt GOP Chances In November? Will Trump's Border Policies Hurt GOP Chances In November? 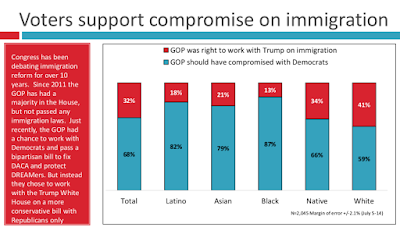 • There is a strong majority against Trump's strict immigration policies and instead in support of welcoming immigration policies. 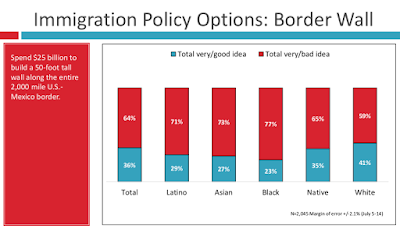 79% want to see the Dream Act passed, while only 36% think the Trump border wall is a good idea. 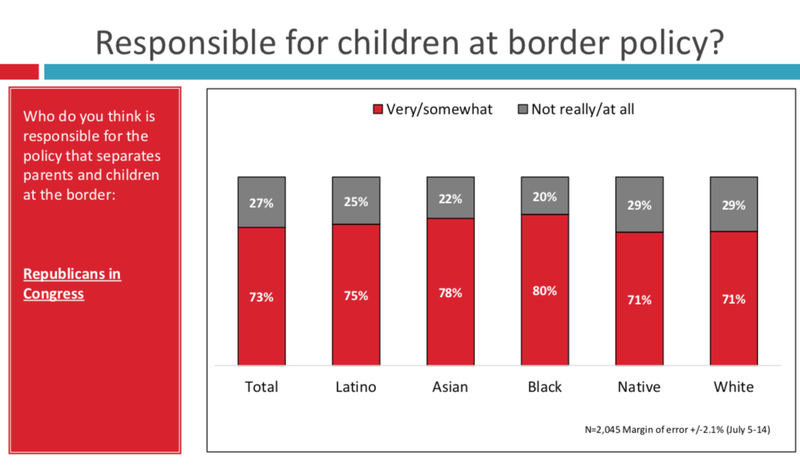 By a 2-1 margin, every racial group opposes child detention policies, and the same goes for 2-1 opposition to ending domestic violence protections for asylum seekers. 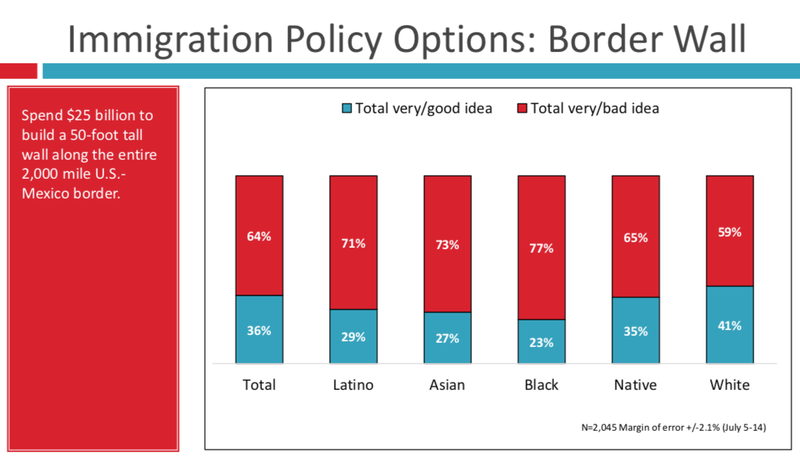 • Strong majorities agree that immigrants just want to provide a better life for their families. When confronted with competing messages on immigration, 61% of whites, and over 75% of Latinos, AAPIs and African Americans agreed that immigrants just want to provide a better life for their families, just like you and me, and support legislation to make America more welcoming to immigrants. 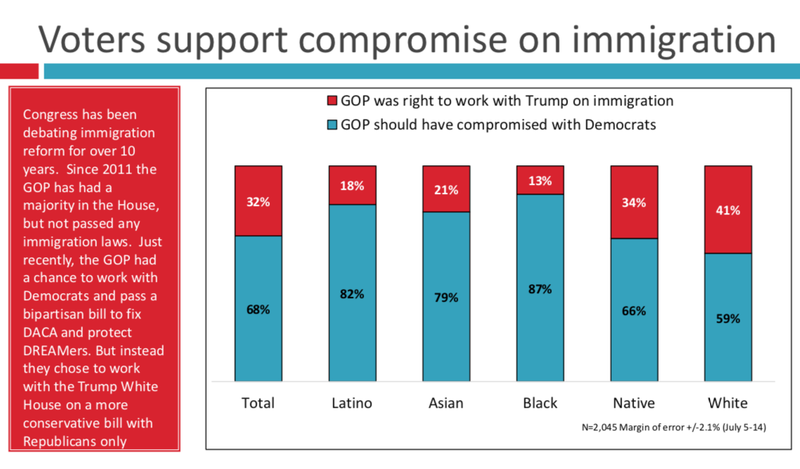 Only a minority of voters agreed with the conservative narrative that immigrants are taking jobs away from real Americans and hurting our economy. • Voters of all races and ethnicities think Trump is increasing division and racial hostility. In 2016, it was just campaign rhetoric. Now, it is 18 months of living through his ugly rhetoric and his policies. Overall 60% think Trump has had a negative or racist impact on minorities, only 22% think he has been positive. A majority of every racial group agrees with this, including whites. • Finally, the poll reports overwhelming support for themes of unity and inclusion. 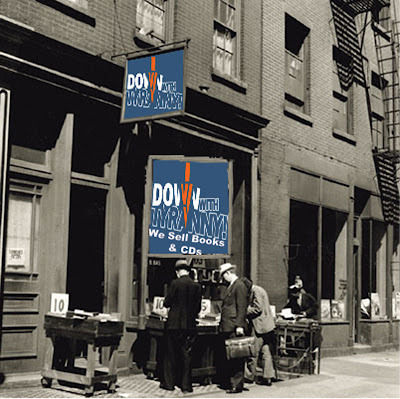 Voters are tired of hostility, attacks, and division. Over 85% of all voters agreed with this statement: "Today, certain politicians and their greedy lobbyists hurt everyone by handing kickbacks to the rich, de-funding our schools, and threatening our seniors with cuts to Medicare and Social Security. Then they turn around and point the finger for our hard times at poor families, Black people, and new immigrants. We need to join together with people from all walks of life to fight for our future." Commenting on the results, Derrick Johnson, president of the NAACP said, "We’ve seen what happens when we elect officials who have no regard for communities of color: babies get separated from their parents at the border, visitors get barred from entering our country based on their religion, and white supremacists are given ample opportunity to injure and kill upstanding citizens at their protests. We have the power to stop these injustices if we go out to the polls in November and vote. It is our responsibility to tell our friends, tell our neighbors, rally up our communities, and make a difference in November." On top of that, there are 7 districts that look flippable in Pennsylvania alone! In Nebraska there's one-- the second district, which is the whole Omaha Metro. Kara Eastman won the primary there and looks like she's about to beat Trump enabler Don Bacon. She told me that "Bacon supports a border wall. A wall that we do not need, cannot afford, and does not solve the problem. Bacon is also unwilling to stand with Dreamers to pass a clean dream act. I have too many friends that know only this country as their own who live in fear of deportation. I want to pass comprehensive immigration reform to ensure immigrants are treated with dignity and respect and so that we put an end to the inhumane policies by this current administration." Stephany Spaulding is the candidate running in Congress Colorado's 5th district (Colorado Spring's) against arch conservative and Trumpist Doug Lamborn. Stephany told us "It's evident that the American public wants equitable and unbiased immigration reform. Pathways to U.S. citizenship must be humane and transparent. Immigrants increase our nation’s cultural, economic and social value. While the nation has a right to protect itself, it does not have the right to violate universal and international human rights; separating children from their families and caging people who are seeking asylum violates human rights. I am not interested in playing politics with real people's lives. Progressive immigration reform must reunite separated families immediately, protect DACA recipients as well as creating a comprehensive pathway to citizenship that does not criminalize their family members for seeking asylum, focus on expanding temporary work programs, as well as examine U.S. international trade policies in order to mitigate our role in the economic instability of other nations." No. his overt hate and atrocities committed against the hapless brown poor people will actually HELP him and the Nazi party in November. His voters will flock to the polls to thank him for doing what they've always wanted to do to those poor hapless brown meskin-talking devils. might mention that the policies of obamanation and $hillbillary, as secstate, CREATED many of those masses of hapless poor brown people. Because full disclosure is not what DWT does. Republican election fraud and voter suppression will ensure that Trump remains in the Oval Office because with him distracting the american people. they can get away with literal murder.